Thanking a respondent for completing an online survey is not only polite but will likely increase the potential for them completing any future surveys you send their way. Checkbox Survey offers an automated Email Alert feature that allows you to send Thank You emails to each respondent after they have completed the survey, provided they have entered their email address during the survey process. In this example, the respondent was asked to enter their email address on the first page of the survey. 2. 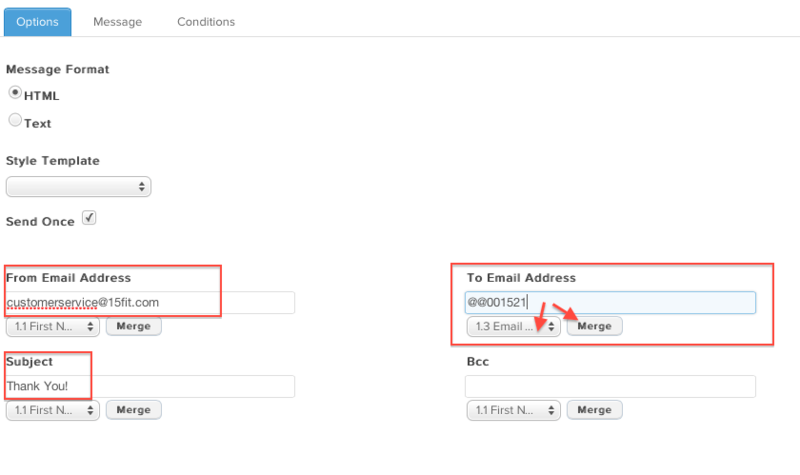 On the “Options” page, enter a “From Email Address”, a “Subject” header and “merge” the “To Email Address” by selecting it from the drop-down menu. This will add the respondent’s email address (taken from the survey) to the Email Alert. 3. 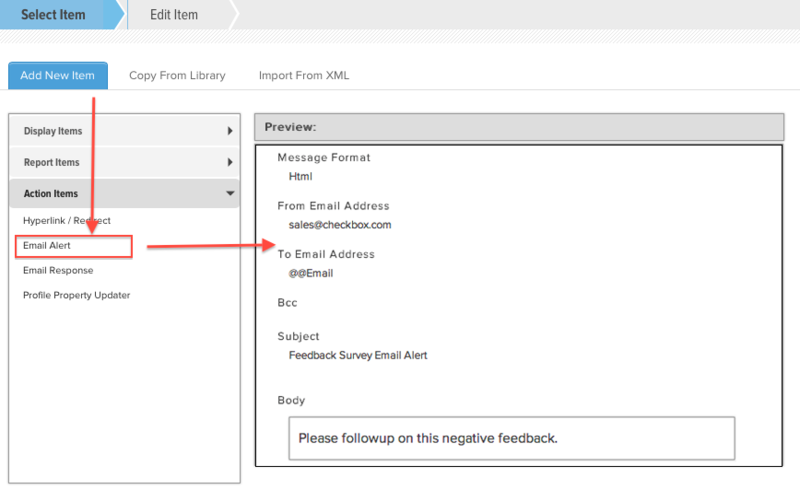 Now, select the “Message” tab and create the content for the body of the email. 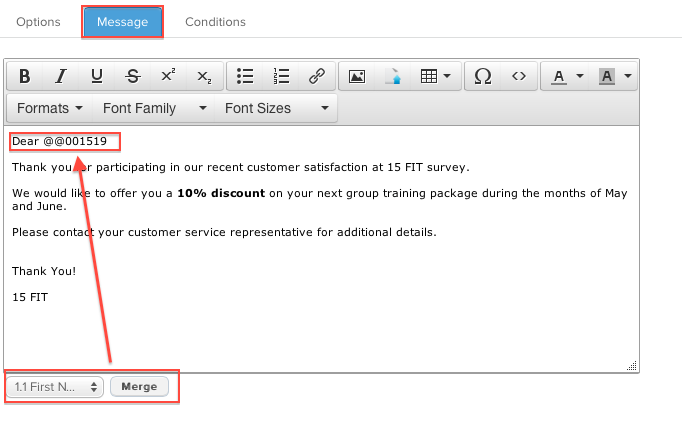 We are also able to customize the message by “Merging” the First Name of the respondent into the body of the email (since this has been collected during the survey process). Select ‘Save’ and this email will now automatically be sent to any respondent who completes the survey.